Nearly every current or former student knows the pain and perils of procrastination — but that does not stop students from actively participating each day. So, where does procrastination stem from, and how can students beat it? 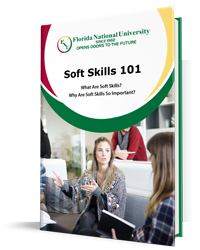 Florida National University (FNU) decided to take a closer look at what it really is, while also considering a few tips to avoid it. Procrastination is the inability to find the motivation to complete tasks well before a deadline. In other words, individuals who procrastinate feel no pressure to complete their work until the last minute; they put off assignments, requirements, and responsibilities due to a lack of urgency, until there is little time to produce the work that needs to be done. They live with a false sense of security in their ability to complete assignments. This type of practice results in rushed, forced work that is often found to be lower in quality than other work. According to the New York Times, “Dr. Steel, who has surveyed more than 24,000 people around the world, says that 95 percent of people confess to at least occasional procrastination. (You can gauge yourself by taking his survey.) About 25 percent of those surveyed are chronic procrastinators, five times the rate in the 1970s” (Tierney). This shocking number reveals a lot about our society today, and about the students who have grown up in this environment. Procrastination is a lot more common than one might expect. Doctor Steel “attributes the increase to the changing nature of the workplace: the more flexible that jobs become, the more opportunities to avoid unpleasant tasks. Workers now typically spend a quarter of the day procrastinating, students a third of the day. Men are more likely than women to be chronic procrastinators, especially young men” (Tierney). Understanding that students are procrastinating during a third of the school day brings this problem to a new level. Not only is there a large amount of procrastinators, but they are also wasting a large chunk of time their time each day, in and out of the classroom. This is concerning for universities — why should students waste what they are paying for? While procrastination at work or in the classroom might not pose any real dangers (besides the threat of termination or failing), some modes of procrastination can actually be physically harmful to individuals. For example, what happens when an individual procrastinates with his/her health? Whether he/she is putting off a healthy diet, a doctor’s check up, or exercising, procrastination and health are arch nemeses. One should be careful to attend timely doctor’s check ups and engage in healthy living. In another example, what about waiting too long to file taxes? These individuals find themselves paying fees, or owing a larger sum after Tax Day rolls by. Not to mention, putting off important tasks can lead to stress, anger, anxiety, and poor performance in the classroom or office. Students, the time to combat procrastination is now; the longer one waits, the more likely it will become a habit! Before another year slips by, learn to fight procrastination! Motivate Yourself: Students must find reasons to actually complete tasks. Whether it is a personal incentive (such as treating oneself to a movie night after the project is over) or if one is simply uncovering the value behind the project (for example, a good grade means a better GPA), finding little motivations along the way will make the process a lot easier on students. 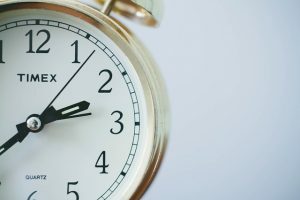 Manage Your Time: This might be the last thing that procrastinators want to hear, but managing one’s time is one of the most effective ways to fight procrastination. That’s right, grab a calendar or download a planning app to help schedule tasks and get more items completed! Get a Head Start: Whether that means researching a topic early on, or looking ahead on the syllabus, getting a head start on current and future projects is an excellent way to keep one’s head above water. We are dedicated to seeing each of our students succeed. That is why we go out of our way to offer tips and services to help students be their best. If you are interested in becoming part of the FNU Family, check out our accredited programs offered by committed professors. See one you like? Apply today!